1. Zheng Tianjiang，Branson David T，Guglielmino Emanuele, Kang, Rongjie, Cerda Gustavo A Medrano，Cianchetti Matteo，Follador Maurizio，Godage Isuru S，Caldwell Darwin G. “Model Validation of an Octopus Inspired Continuum Robotic Arm for Use in Underwater Environments.”, Journal of mechanisms and robotics-transactions of the ASME, 0210042(5), 2013. 2. Zheng, Tianjiang, Branson III, David T.; Kang, Rongjie; Cianchetti, Matteo; Guglielmino, Emanuele; Follador, Maurizio; Medrano-Cerda, Gustavo A.; Godage, Isuru S.; Caldwell, Darwin G, Dynamic continuum arm model for use with underwater robotic manipulators inspired by Octopus vulgaris, IEEE International Conference on Robotics and Automation, ICRA 2012, Minnesota,American. 3. Zheng, Tianjiang, Godage, Isuru S.; Branson, David T.; Kang, Rongjie; Guglielmino, Emanuele; Medrano-Cerda, Gustavo A.; Caldwell, Darwin G, Octopus inspired walking robot: Design, control and experimental validation, IEEE International Conference on Robotics and Automation, ICRA 2013, Karlsruhe,Germanly. 4. Zheng, Tianjiang, Yang, Yawei; Branson, David T.; Kang, Rongjie; Guglielmino, Emanuele; Cianchetti, Matteo; Caldwell, Darwin G. Control design of shape memory alloy based multi-arm continuum robot inspired by octopus, Yang, Guilin, Proceedings of the 2014 9th IEEE Conference on Industrial Electronics and Applications, ICIEA 2014, Hangzhou, China. 5. Yang, Kaisheng, Yang, Guilin; Wang, Jun; Zheng, Tianjiang; Yang, Wei, Design analysis of a 3-DOF cable-driven variable-stiffness joint module , IEEE International Conference on Robotics and Biomimetics, IEEE-ROBIO 2015,Zhuhai, China. 6. Cuncun Wu, Guilin Yang*, Chin-Yin Chen, Shulin Liu and Tianjiang Zheng，Kinematic Design of a Novel 4-DOF Parallel Manipulator，IEEE International Conference on Robotics and Automation, ICRA，2017, Singapore. 7. Yi Wang, Guilin Yang, Kaisheng Yang, Chi Zhang, Tianjiang Zheng, Design Optimization for a 2-DOF Cable-driven Joint with Large Stiffness Range, 2017 IEEE International Conference on Industrial Electronics and applications (ICIEA )，2017,Seamreap, Cambodia. 8. Yi Wang,Guilin Yang, Kaisheng Yang, Tianjiang Zheng, The Kinematic Analysis and Stiffness Optimization for an 8-DOF Cable-driven Manipulator, 2017 IEEE 8th International Conference on CIS & RAM, 2017,Ningbo, China. 9. 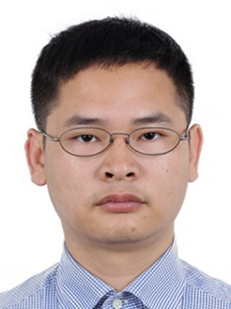 Yu Yang, Guilin Yang, Tianjiang Zheng, Yingzhong Tian, Long Li, Feature Extraction Method Based on 2.5-Dimensions Lidar Platform for Indoor Mobile Robots, 2017 IEEE 8th International Conference on CIS & RAM, 2017, Ningbo, China. 10. Wenji Jia, Guilin Yang, Lefeng Gu, Tianjiang Zheng , Dynamics Modelling of a Mobile Manipulator with Powered Castor Wheels2017 IEEE 8th International Conference on CIS & RAM ,2017, Ningbo China. 11. Chongchong Wang, Guilin Yang, Chin-Yin Chen Zhenwei Huang, Tianjiang Zheng, Silu Chen, An Impedance Control Scheme with Lead-lag Controller for Flexible Joint Vibration Suppression,2017 IEEE 8th International Conference on CIS & RAM ,2017, Ningbo, China.